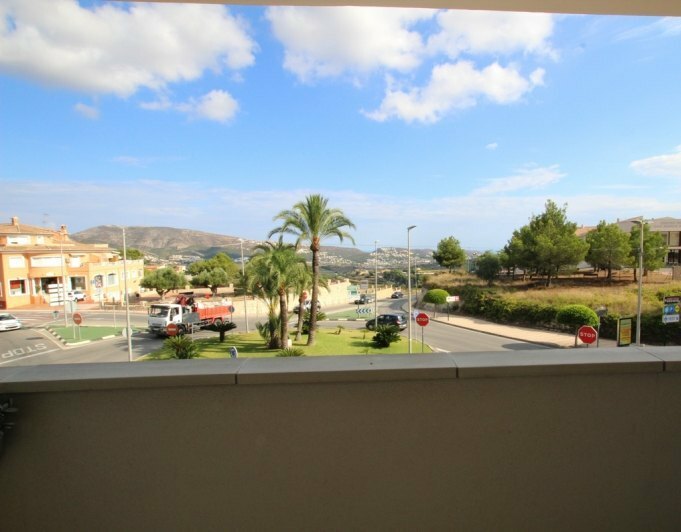 Find an ideal apartment for sale in Moraira is about to come true! In Costa Blanca Dream Home have the most comprehensive range of Apartments for sale in Moraira. From the vast choice of apartments available, we select apartments that suit your individual requirements and provide impartial advice for each one we view. Our specialist knowledge, investment advice and local insight will help you make the right decision. 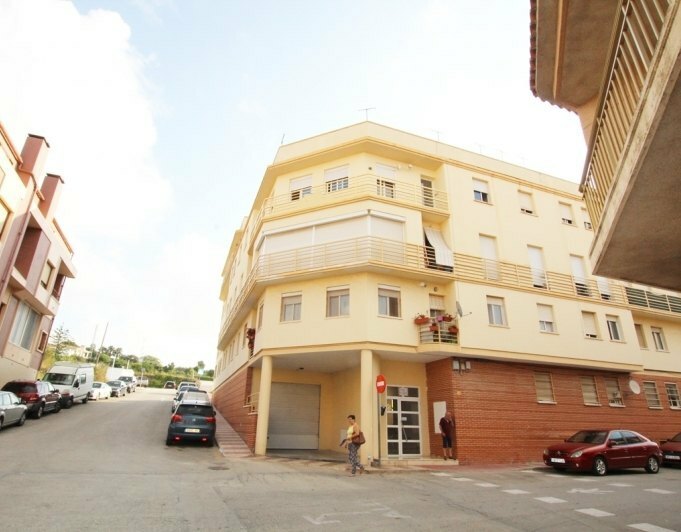 This spacious 4 bedroomed apartment is located within a nice central area of Teulada, only a short walk to all amenities and a short drive down to Moraira and the beaches. The property is set on the 1 floor of a recently constructed building with lift and has never been lived in, entrance is via a security door which leads into the hall way which distributes all rooms, straight ahead we find a spacious and bright living/dining room with big windows and access to a terrace, to the left of the entrance we find a spacious fully equipped separate kitchen with access to the balcony and utility area. To the right we find a total of 4 double bedrooms (all with built in wardrobes), 2 bathrooms (1 ensuite) and a small inner courtyard.The property boasts gas central heating, preinstallation of ducted airconditioning hot and cold, double glazing through out, lift and some open views. New and modern apartment with three bedrooms and two bathrooms in an estate of only three apartments with elevator. 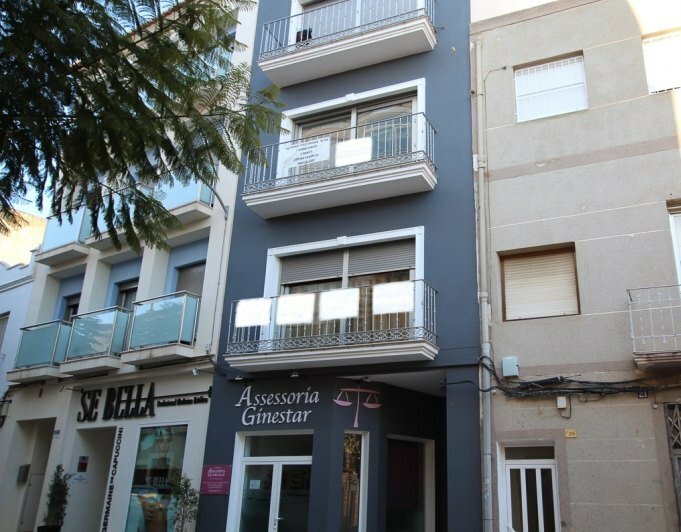 Located in the heart of a traditional town on the Costa Blanca, with a balcony overlooking the many bars and cafes. 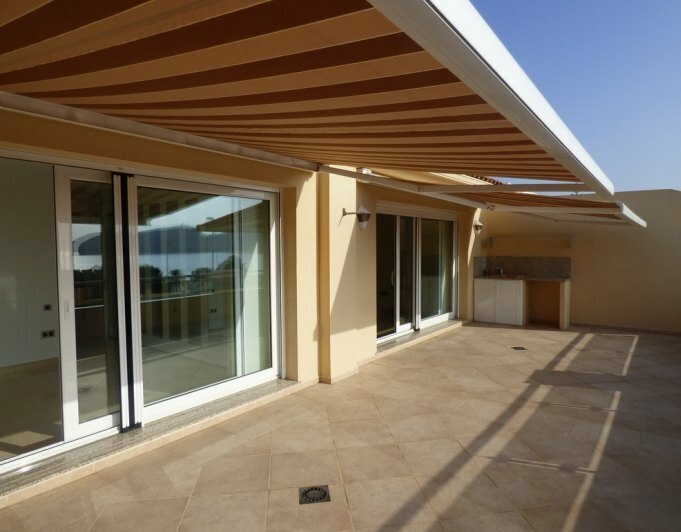 The high quality of the balcony sliding doors ensure that there is no noise from the street at all. Each bedroom has fitted wardrobes. Two of the bedrooms are individual, and there is a double bedroom with a separate laundry room and a small courtyard. The living/dining room is a generous fully equipped American kitchen size. There are two bathrooms, one with shower and one with bathtub. Furniture included. This apartment is within walking distance of all amenities. There are many sites where to park on the street. The property also includes a rooftop shared by 2 apartments. This modern apartment is located within the village of Teulada in a building with communal jacuzzi, accomodation comprises 2 double bedrooms, 2 bathrooms (1 ensuite), separate fully equipped kitchen and spacious lounge/dining room that lead out to the terrace with open views down towards Moraira and distant sea views. Propetry benefits of ducted airconditioning hot and cold, double glazed Windows, and underground garage space. 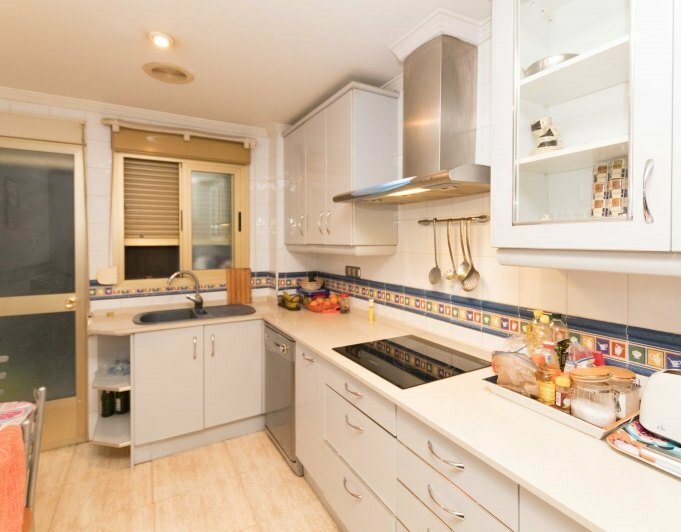 This big apartment is located in the heart of Teulada town, close to all amenities and services.The total built surface is 161.78m2 and comprises 3 double bedrooms, 2 bathrooms (1 ensuite), big living/dining room and separate independent kitchen. It has been fully reformed in and it boosts gas central heating, 2 balconies, satellite television, laundry room and big spaces. Apartment for sale in the famous buildings of Pili and Mili. 700 metres from the sea.It consists of three bedrooms, a bathroom, living room with American kitchen completely renovated in the year 2018. It has a garden terrace where you can enjoy views of the sea with the utmost privacy.It also has a porter and a security guard. This exclusive penthouse is located within one of the most wanted areas of Moraira, Pla del Mar, being a 10th floor with lift this property boosts absolute panoramic views of the sea and the mountains in the surrounding area.Accomodation is divided in two, the main property consists of spacious lounge/dining room with ceiling to floor Windows to afford máximum views of the sea, american style fully equipped kitchen, 2 double bedrooms with built in wardrobes and 1 family shower room.Separately we have a guest studio with living space, bedroom space and it's own bathroom. From here we also boosts a 40 m2 private terrace.The property has airconditioning hot and cold, aluminium windows, lift and panoramic views. 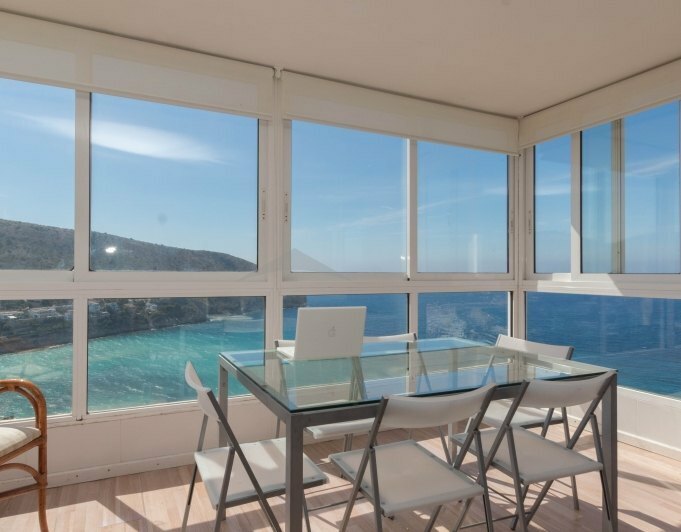 Exclusive apartment for sale with sea views Moraira. 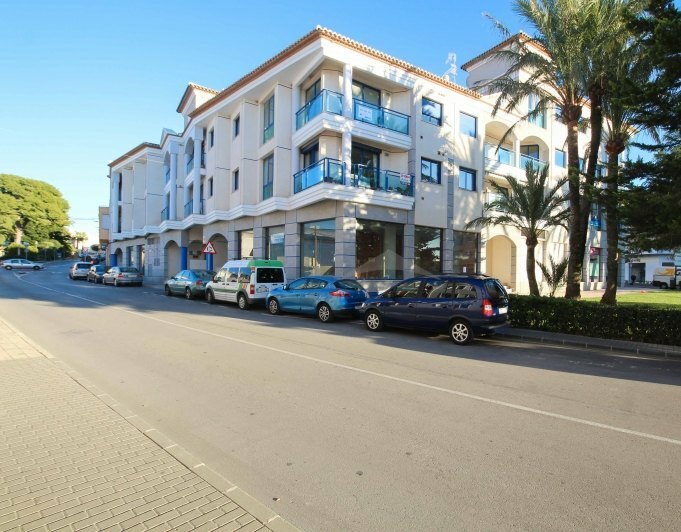 This is a three bedroomed apartment set on the top floor level within a sought after development one hundred meters away from the beach and within a ten minute walk into the heart of Moraira village. As you entre into the secure under ground parking there is a lift that take you up to the second floor and the communal terrace area which provides access to the front door of this apartment. This gives way to an internal hallway which leads to the kitchen and large lounge/dining room. Off the lounge is a large open terrace area with lovely views over looking the lush gardens and pool area, with the beach and sea beyond. This apartment has three bedrooms one being a master bedroom with a large ensuite and dressing room area. 2 garage spaces and a store room are included in the price. The location of this apartment is ideal with easy access to the beaches amenities surrounding this development. 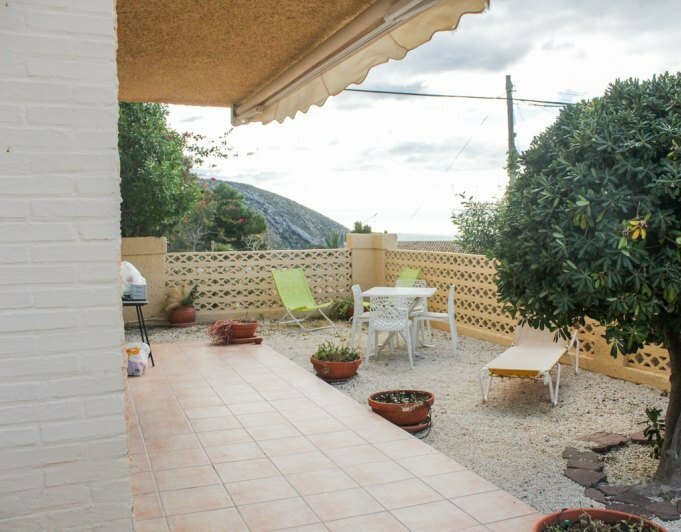 Teulada is near Moraira and in this town you can find a great selection o cheap apartments for sale near Moraira. If you are interested to buy an apartment in Moraira, ask us because we have more apartments on sale from private owners. 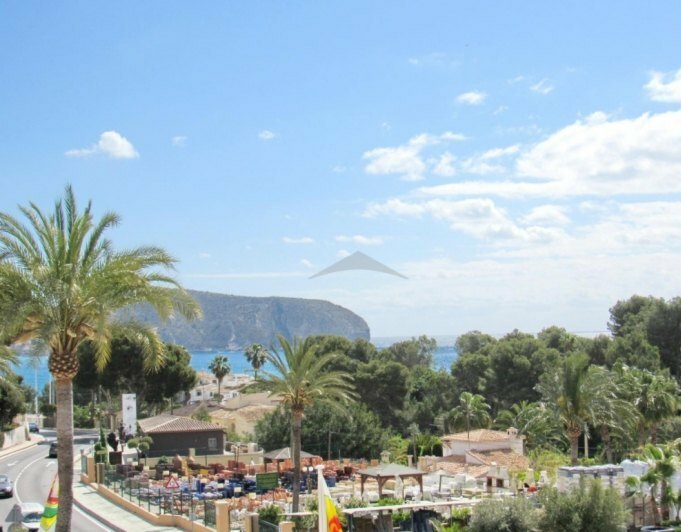 Discover the best apartments in Moraira for sale to live all year. Now is the moment to invest in an Apartment don't forget this opportunity and get the best conditions.